When a year forms not only the centenary of First World War campaigns, but also commemorates at least two other famously bloody battles (Agincourt, Waterloo), it is cheering to discover that 2015 also marks the 750th anniversary of the birth of one of the greatest poets the world has ever produced. 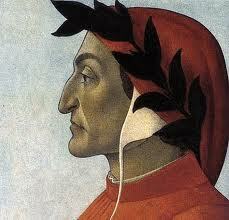 Dante Alighieri was born in Florence in 1265. We don’t know the exact date, but from hints dropped in the Paradiso it was when the sun was in Gemini, that is, between 11 May and 11 June. The Paradiso is the third part of Dante’s most famous work, the Divine Comedy, in which he imagines himself being guided through all three areas of the afterlife (Inferno, or Hell, and Purgatory being Parts One and Two). The Devil, as we know, has all the best tunes, meaning that while the Divine Comedy as a whole is among the most sublime poetry ever written, it is the poet’s descent into the dark circles of Hell that makes the most exciting story. 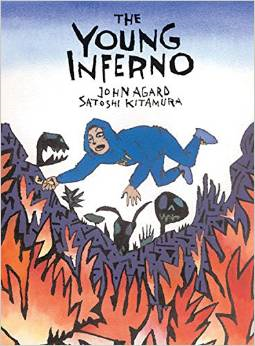 Which for me, as Dante enthusiast and children’s writer, begs the question – why has noone ever created a children’s version of this wonderful, scary, gruesome journey, full of mythical monsters and rivers of blood and fire? Is Dante just thought too difficult for a child to understand? Well, if that used to be the case, the good news is that it isn’t anymore. In the UK in recent years, writers have taken up the challenge: John Agard with his sharply amusing updated Young Inferno, Hunt Emerson and Kevin Jackson with their deliciously irreverent Dante’s Inferno … and, ahem, me with Ante’s Inferno, an adventure story in which 12 year-old Ante (Antonia) finds herself descending through the classical Underworld on a quest to solve a 100 year-old murder mystery. While all publishing is something of a gamble, adapting for children a work more commonly the subject of deep academic study will be thought by some adults to be brave, not to say niche. Luckily children think otherwise. 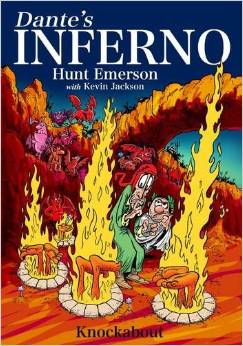 On BBC Radio 3 recently, Kevin Jackson described how an 8 year-old boy enjoyed his Dante’s Inferno so much he now wanted to read the original (hurrah!). My book Ante’s Inferno won the 2013 People’s Book Prize, judged entirely by readers who vote for the books nominated. That Dante, given a chance, can appeal to young people is something I know well from reactions of the 9 – 13 year-olds I talk to on my school visits. None of them has heard of Dante before. All are fascinated by the idea of someone dreaming up a carefully ordered Hell structured on a place many of them recognise – the Hades of Greek myth – and eager to read an adventure story set there. 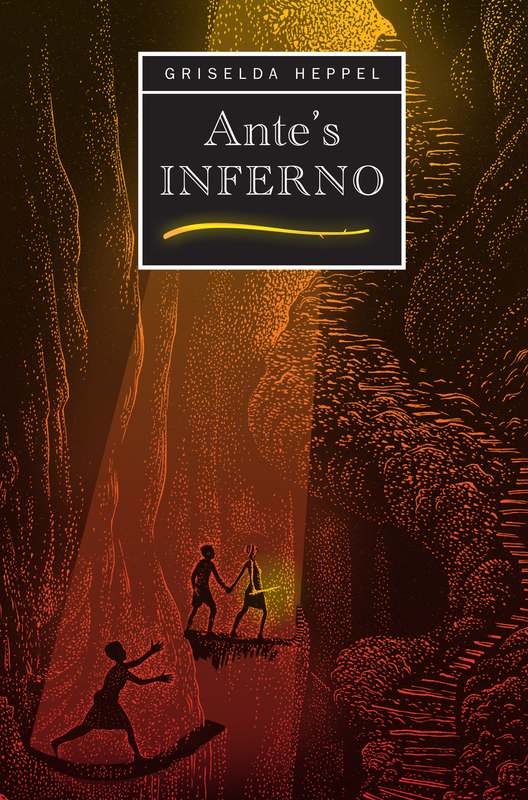 So I am delighted when children – and adults – tell me they’ve loved Ante’s Inferno. If my book – like Emerson’s and Jackson’s – inspires them one day to tackle the masterpiece it’s based on, so much the better. 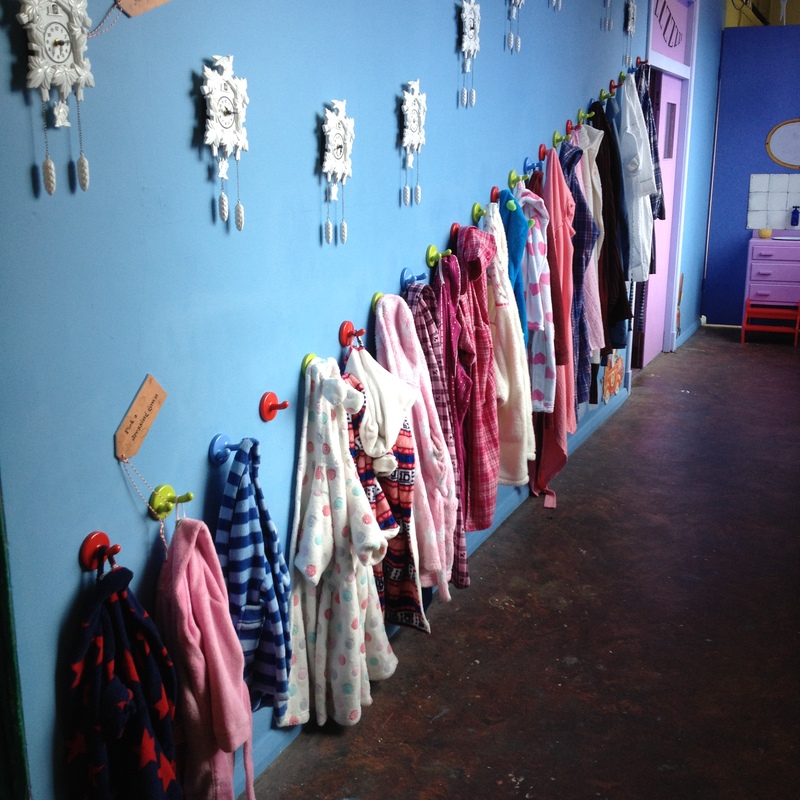 I recently spent a couple of free mornings stewarding at the Oxford Story Museum – which gave me the pleasing feeling of Doing Something Useful while actually thoroughly enjoying myself. Win/win all round, eh. Draw Me a Story. A beautifully-paced, thoughtful exhibition in which works by six of the best children’s illustrators around are hung alongside their preparatory drawings, doodles and sketchbooks, showing all the steps from the spark of an idea to the completed picture book. Here I discovered the delightful Fred from Yasmeen Ismail’s Time for Bed, Fred! Which leads me seamlessly on to, er…. Time for Bed. This is sheer heaven. Visitors (of all ages and sizes) are encouraged to wrap themselves in dressing gowns and enter the room, to be greeted by the sight of a truly gigantic, patchwork-quilt-covered bed whose pillows are the size of duvets. The yearning to throw yourself on to this is overwhelming (shoes off first, of course, what were you thinking?). But try to resist just long enough to peep into the little room in the corner, where lockers contain classic picture books like Anthony Browne’s Gorilla and Elfrida Vipont & Raymond Briggs’s The Elephant and the Bad Baby (two personal favourites), complete with cuddly gorilla and soft blue elephant, and take one to curl up with on the giant bed. No, you’re not too old, don’t be ridiculous. Last week a school party of Year 8s went wild, (though interestingly the tiny lullaby room proved even more popular than the giant bed – clearly all that a hyperactive 13 year-old needs is a snooze). And the week before a group of students fell on the picture books before lying full-length on the coverlet, elbows propped, devouring Can’t You Sleep Little Bear (Martin Waddell) and Where the Wild Things Are (Maurice Sendak). You’ll still find some old favourites from the recent 26 Characters exhibition – Treasure Island, Lord of the Rings, a huge dark wardrobe full of fur coats…. and the incomparable Changing Room with the Astonishing Announcing Throne. And there’s more to come. If, after the cosiness of Time for Bed you’re hankering after something more exciting, the Extreme Reading room is about to open, which promises just that.